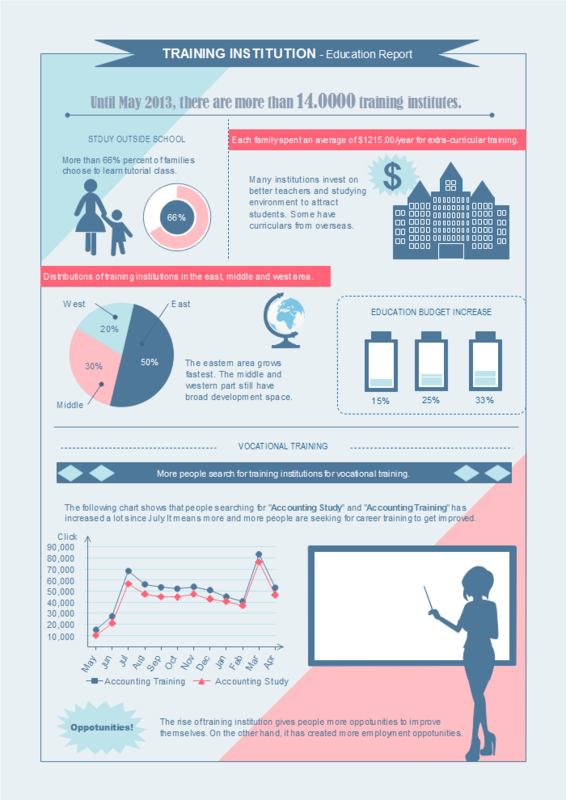 If you are looking for an effective teaching tool, infographics can be your good choice. 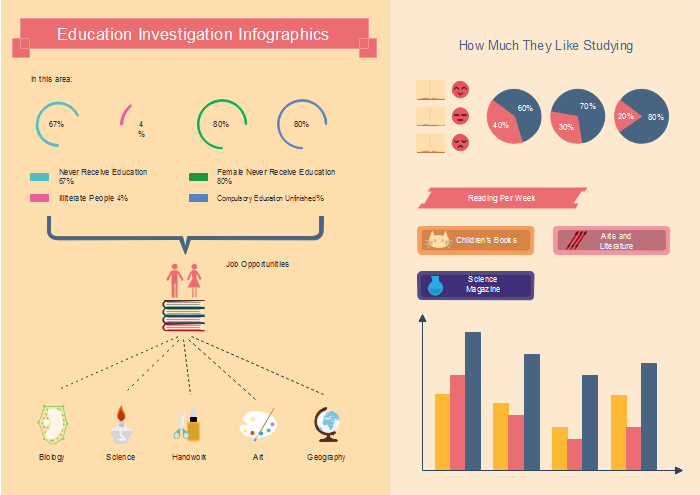 This article will dig out the reasons why use infographics for education. Infographics are visual representations of data or knowledge intended to present information concisely and quickly, which make them not only a great tool on online marketing to boost traffic, but also does a wonderful job on education. And this page will emphasize why use infographics for education. Following are advantages of using infographics for education. Students are visual learners, they are easy to attracted by graphical representation of information rather than large texts with poor format. Infographics provides more than just words, it also exhibits traits that offer an enhanced learning experience for students. It easily breaks down complicated concepts into understandable pieces of information which students can absorb and digest effortless. 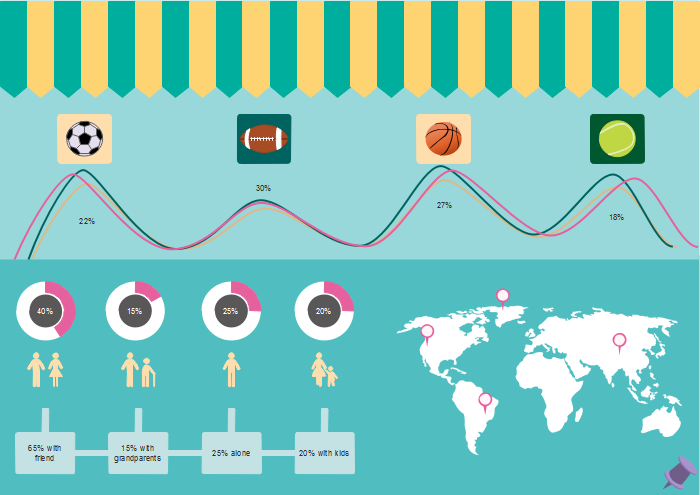 Infographic is a effective medium when it comes to intrigue questions and provoke students' minds. It enhances the interpretation capabilities by building critical faculties through the use of images with contrasting quality. 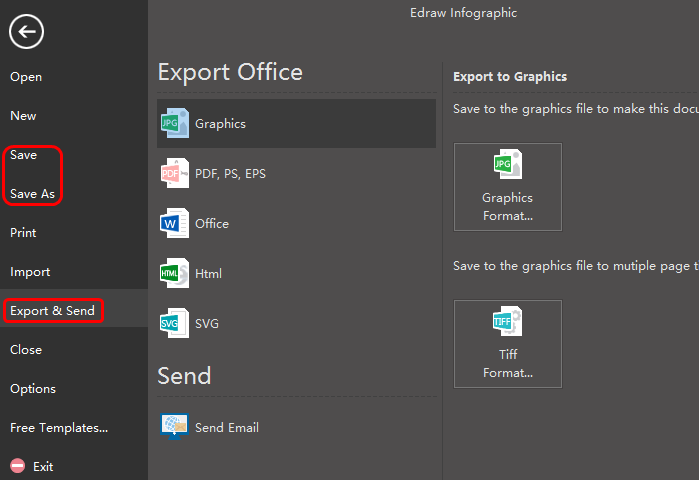 Edraw Infographics is a professional and easy to use infographics maker with no drawing skills required. 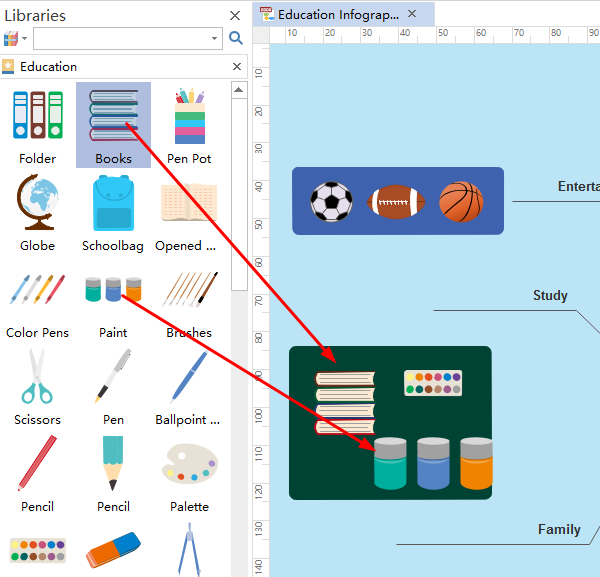 Following are simple steps to create education infographics with it. 1. 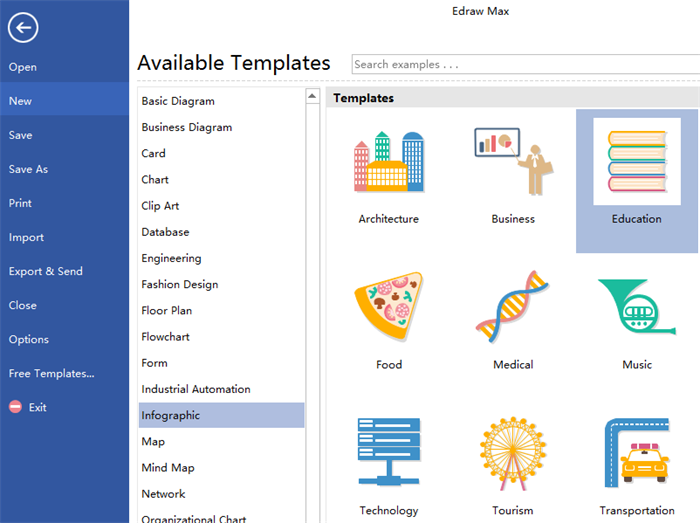 Launch the software and open a blank infographics drawing page. 2. Drag education symbols from left libraries and drop on the blank page. 3. Double click symbols or cilck Text on Home Page to add contents. Following are some infographics examples for your reference. Click examples of infographics to view more examples. All the examples are free to download and customizable. Just download the one you like and edit to meet your needs.